Bioplastics are found in our daily lives, and people don’t know it. They drink from biobased plastic bottles or drive in cars with seats and tubing that come from biobased sources. They go to parties and eat with compostable plates and forks. At the hospital, bioplastics are found in sutures and implants. The histories of plastics and bioplastics have always been closely linked. The first man-made plastic – celluloid – was created to replace ivory in billiard balls, and went on to imitate ivory in many other applications, including combs and piano keys. Poly(lactic acid), one of the most common biodegradable bioplastics, was commercialized in the 1950s and used for medical applications until a breakthrough in manufacturing enabled it to become a large-scale commodity plastic in the mid-1990s. Bioplastics are plastics that are 1) biobased, meaning they come from a renewable resource, 2) biodegradable, meaning they break down naturally, or 3) are both biobased and biodegradable. There are durable bioplastics made entirely from sugar cane, and some biodegradable plastics that are derived from nonrenewable resources. Biobased means that a percentage of the carbon found in the plastic comes from a renewable resource. Resources used to make biobased bioplastics are called feedstocks, and include corn, sugar cane, castor beans, saw dust and even algae. Some have raised concerns that making plastics from plants means that this process reduces the amount of food available, but less than .01% of the land used for growing is used to make bioplastics. That’s like saying for every 12.5 ears of corn grown, one kernel is used to produce bioplastics. Biodegradable means that bioplastics break down completely through a natural process within a short period of time into elements found in nature. Microorganisms such as bacteria and fungi, and larger creatures like earthworms, eat the plastics for food, breaking them down for energy and converting them into carbon dioxide, methane and water. Biodegradation, however, can vary based on a lot of factors and is therefore not as helpful a term for consumers. It’s more important for them to know how to properly dispose of a biodegradable object. That is why we use terms such as “home compostable” or “industrially compostable” to help give consumers the information they need to properly dispose of certain bioplastics. Home and industrial composting differ because home systems use simple methods, such as a compost pile, with much greater variability and lower temperatures than industrial composting. 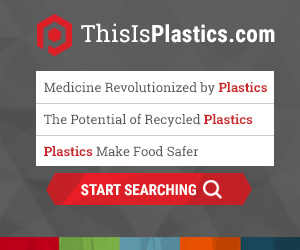 Oftentimes there is confusion between bioplastics and plastics to which a degradable additive has been added. Both SPI and others have concerns about products that claim to be able to convert traditional durable plastics into biodegradable ones, and consumers should be wary of these products as well. Bioplastics can be recyclable—even those that are biodegradable! Composting is a complement to recycling, and provides an alternate end-of-life option for plastics that cannot be recycled due to food waste contamination.